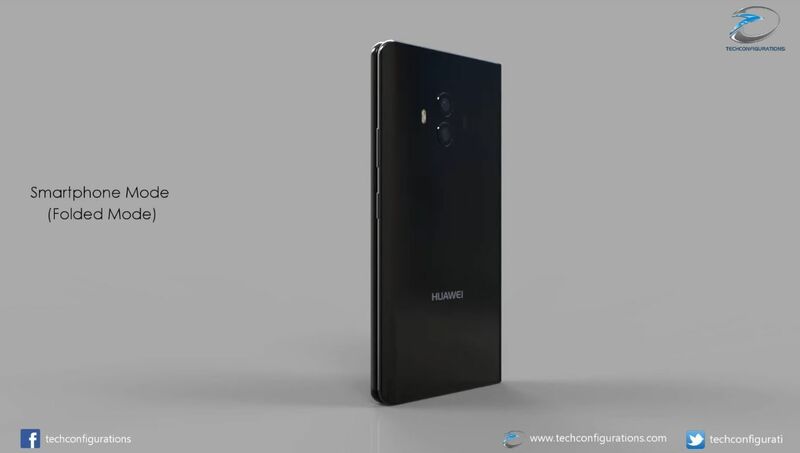 Huawei Mate X received some nifty leaks recently, via patents that show a hinge mechanism. 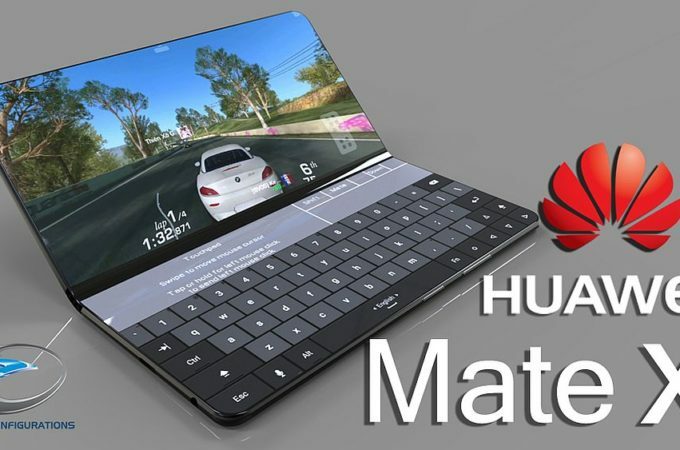 We have no idea if the name will stick, but we’re pretty sure Huawei is making a foldable phone, especially since it was kind of confirmed by the company’s CEO, Richard Yu. Let’s see what we know so far. 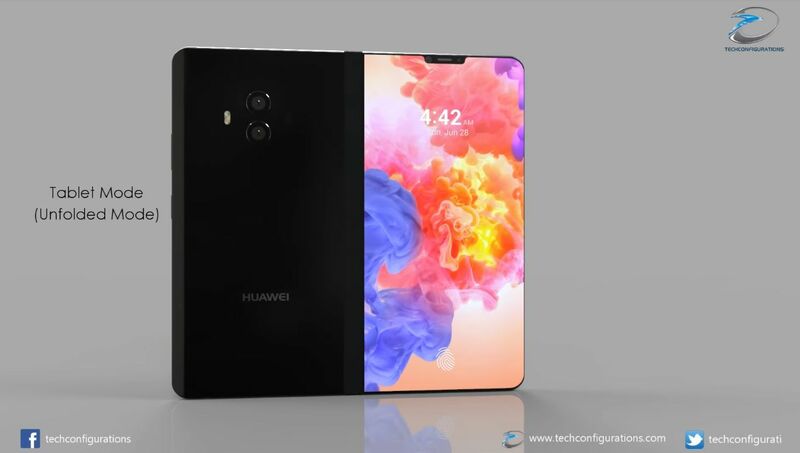 Huawei Mate X has been rendered by Techconfigurations, who envisions it as sort of a smaller laptop. 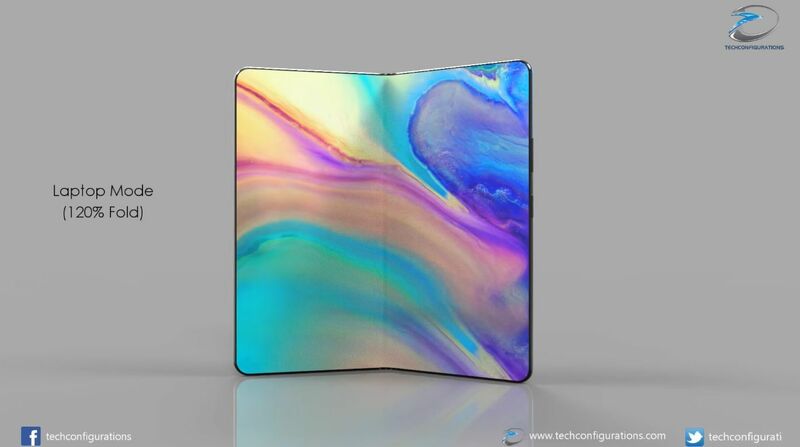 It also opens up like a book and lets you use it on both tablet mode and smartphone mode. It’s got a front 24 megapixel camera, an in display fingerprint scanner and somehow it manages to not be hugely thick, in spite of sporting so much stuff, components, the works. 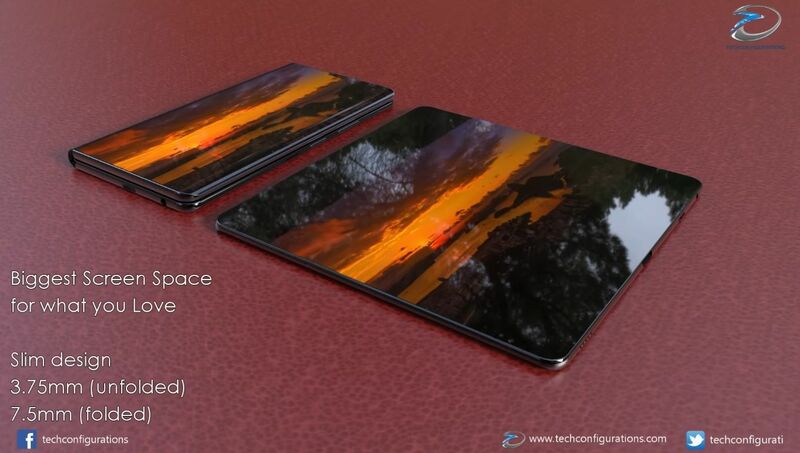 The laptop mode offers 120% fold and the device seems to keep the glassy texture and materials of the predecessor. I see there’s also the notch upfront and I’m pretty impressed by the seamlesness of it all, once the device is opened. The only problem here is that the two parts of the Huawei Mate 10 X don’t completely overlap, which may make it prone to some malfunctions and strange postures in the pocket, bag or other mediums. It’s also interesting to me how the device hides the hinge, that seems like a pretty clear cut on the outside, but very well hidden on the inside of the fold. I’m also not sure how people are going to wield the opened up device, since its bezels are close to zero and their fingers will be all over the device’s edges. 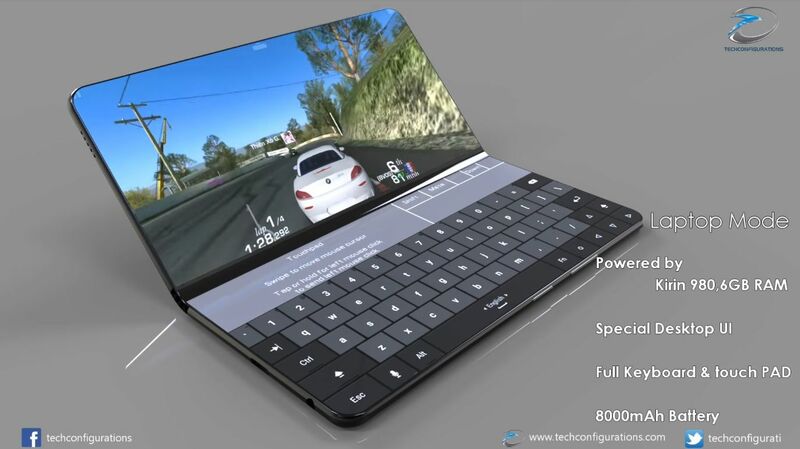 The laptop mode makes more sense than the tablet mode for sure.